Suckers for windows | Suction cups with hooks | Suction pads. 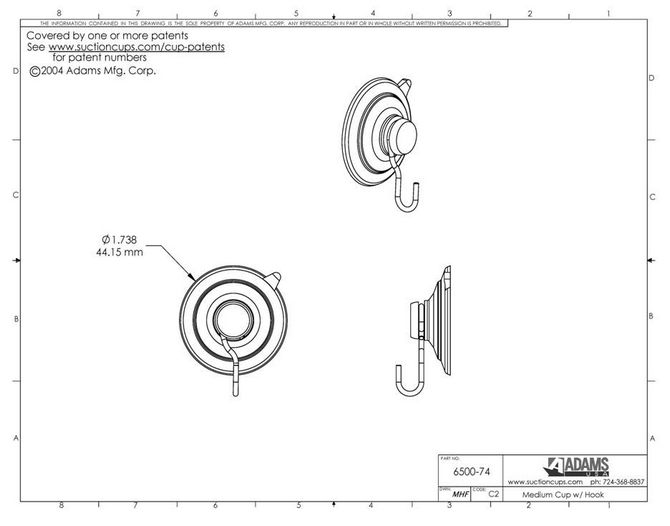 Suction cups with hooks with a 47mm diameter by Adams USA are rated to hang items up to 3 pounds (1.36kgs) in weight and offer a professional looking finish. Be sure to read:- Why Adams World's Best. Adams suction cups with hooks will fix to a clean, dry, slick/shiny, non porous, non textured surface like glass, mirrors, glazed ceramic tiles, glossy plastic etc. Remove and re-position by using the quick release tab on the suction cup edge to eliminate damage caused by finger nail picking. Adams suction hooks are crystal clear and will not turn yellow or become brittle over time. Their patented light diffusing ring also makes them safe in strong sunlight. 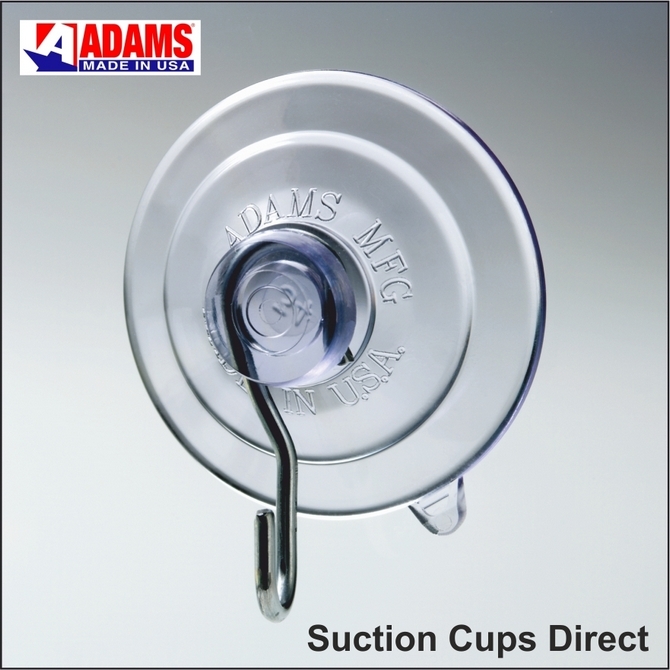 Adams suction cups are fitted with a strong metal hook.